What will be the narrative of the stories brands tell on the continent? Humans are storytellers. It is one of our oldest communication tools. Stories move us, delight us, they make us feel alive and emotionally connected. ‘Stories have power. They delight, enchant, touch, teach, recall, inspire, motivate, challenge. They help us understand. They imprint a picture on our minds. Want to make a point or raise an issue? Tell a story’ Janet Litherland. People tell stories, art and music tell a story, so too with literature and the movies… and so it is only natural that brands tell their best stories to inspire and connect consumers. As a bespoke marketing and experiential agency, our ethos is all about the personal narrative. We encourage brands to harness the power of personal. People will forget facts and presentations but no one ever forgot a great story. Get ahead of the numbers, and put a name, a face and some personality behind your brand. Africa is rising and the time for a compelling brand story has never been more relevant, especially for our own home-grown innovations. Our history and heritage, the rich tapestry of cultures that defines Africa is our most compelling advantage. Every African brand has been borne out of a greater social ideal. To take our place on the global stage we must tap into this narrative and tell our personal stories. When we think of iconic, we think of some of the oldest luxury houses in existence: Louis Vuitton, Goyard or Cartier. They were created by founders who had a vision and a strong belief, their passion made consumers fall in love with their products. African brands must take us on that same journey to inspire us and create that magical bond. Our growing desire for more discerning experiences are not going unnoticed by international brands; every company is clamouring to put its stamp on Africa. To effectively gain our brand loyalty and buy-in how are these brands connecting their personal story to ours? How is their context similar to how we live and see our lifestyles? Those that will succeed will be the ones that bring a common thread between their ideals and ours. At SHK, this is our mantra. We live and breathe marrying the vision of luxury brands to the ideals of the African consumer. Because one size truly does not fit all. Take an age-old Scotch whisky, CHIVAS. How do you make it relatable to the modern African ‘gentleman’? Our campaign ‘Made for Gentlemen’ took the brand’s association with Saville Row (fine British bespoke tailoring) and translated it for Kenya. In collaboration with Kenyan designer Kaveke, Chivas launched a bespoke collection inspired by eight leading local entrepreneurs. A tribute to the craftsmanship, attention-to-detail put into blending Chivas, told through the eyes of African design and African talent. One of the most talked about campaigns on the local scene. What was once regarded as a whisky for the ‘older’ man is now regarded as a status symbol of accomplishment. 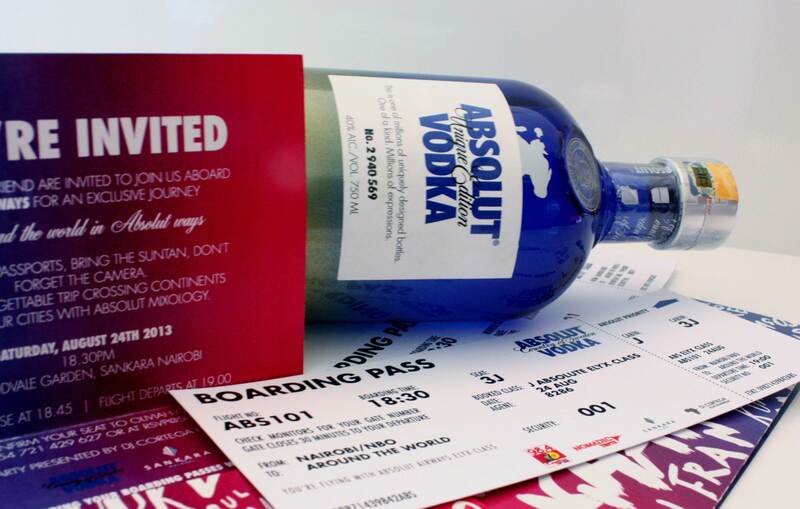 How do you educate a young, aspirational generation on the premium vodka market leader ABSOLUT? Nothing brings people together more than travel. An experiential ‘Around the world in Absolut Ways’ vodka lovers took in the diversity of Rio, Paris, and Shanghai through the wonderful world of Absolut Vodka’s flavours. An experience showcasing artistry, mixology, and ingenuity. Whether premium spirits, luxury cosmetics, five-star hotels or out-of-the-box concepts, without a lifestyle philosophy that echoes the beat of their demographic even the most discerning brand will fall by the wayside. Marketing, communications or experiential our strategy is simple… what value can our brands bring to their audience’s lifestyle? What common and shared experience is there? Brand storytelling goes beyond a tagline or an ad campaign, nor is it clever copywriting or exceptional photography. The best stories tap into people’s emotions because someone genuinely connects to what a brand stands for or where it has come from. If you can paint the picture and create a lasting personal relationship, you will have reached the holy grail of brand loyalty. What higher value do you give your audience that no one else possibly can? What makes for a compelling brand story? Real solutions borne from real problems. A story shows, it does not tell. It explains and relates. A problem existed; your brand created the solution ‘ a heroes journey’. How do you touch the lives of the people around you? Your customers, your suppliers, your employees, your visionary or founder. Each one has a story to tell – their story and lives as it interlinks with your brand. What is your brand’s core purpose beyond driving a profit? You may not have created the world’s most original concept but your perspective and your ethos is new and fresh. What is the ‘one and only’ thing consumers receive from your brand that they will highly value and cannot get anywhere else? At SHK Consulting we have a saying ‘If strategy and craftsmanship are the canvas to an exceptional painting, then marketing and PR would be the art curator setting the scene’. How will you paint your brand’s picture?